Gloves for women - simply indispensable! Whether from cold or stress, hands need to be well protected! That's why gloves are an indispensable piece of equipment for ladies. As protection against frosty temperatures or as support when climbing or skiing, gloves for women are an essential piece of kit. Whatever you use women's gloves for, one thing is certain: cold hands have no chance! Which women's gloves are the right ones? An important feature that all the gloves for women should have is the right fit. Gloves for women should be neither too small nor too large and perfectly suited to personal preference. Another important factor is the level of comfort. 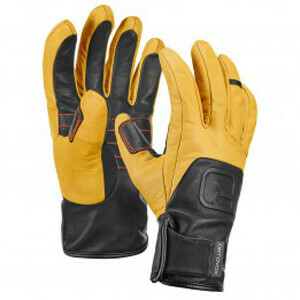 Since you often wear women's gloves for a long period of time, they should be comfortable to wear. Of course, both types of glove provide effective protection against cold and ensure toasty warm hands, generally mittens have slightly higher insulation performance. But why? In mittens, an air cushion forms between the glove and the hand. All the heat from the hand remains in the glove creating an insulating warmth cushion. So the fingers and the palm of the hand warm each other. But these kind of gloves don't allow for a precise grip, which is required for some outdoor sports. For these kind of activities, finger gloves are the perfect gloves for women. The right gloves for women for any activity! The ideals gloves for ladies for winter sports are ski gloves. These gloves for women are warm, durable, water resistant and feature grippy palms, which provides for optimal handling of ski poles. The perfect protection for via ferrata are -as the name suggests - Via ferrata gloves. These gloves for women protect hands from friction and external influences without restricting the necessary freedom of movement. But these are of course not all the gloves on offer for ladies. Whether leather gloves, climbing gloves or expedition gloves at very extreme temperatures, gloves for women keep hands warm and protect against wind and weather. So it should be!